Jim Fosgate plans to issue two new Signature products, the Fosgate Signature tube preamplifier (projected $3500) and 50Wpc Signature stereo tube power amplifier (projected $4000). Seen in prototype form, and expected in the 2nd quarter of the year, the nine-tube preamp combines a hybrid MM/MC phono stage with an all-tube line stage, and comes complete with remote control and six-position MC cartridge loading. The synergy is palpable between Triode Corporation's Japanese-made electronics, distributed by Santo Oropel's Twin AudioVideo, and Acoustic Zen's loudspeakers and cables, masterminded by Robert Lee. 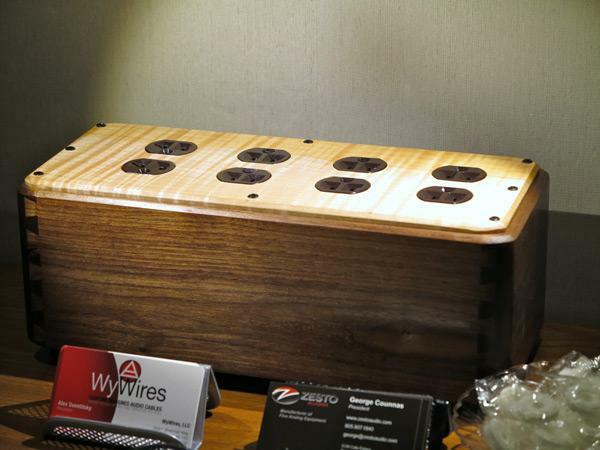 At CES, Triode premiered the imminently available TRX-M300 8W into 8 ohms triode monoblocks (approx. $14,000$15,000/pair). Built around a 300B tube driven by a 91A tubethere are one 300B, two 91As, and one 274Bthe 60 lb monoblock includes auto-bias, and has a frequency response of 10Hz50kHz, +0, 3dB. How lovely to again make the acquaintance of Eunice Kron of KR Audio and Roger DuNaier of KingSound. Driving the mighty King III full-range electrostats, with a generous assist from Clarity cable, were KR's VA910 160Wpc monoblock push-pull ultralinear, class-AB1 amplifiers ($18,000/pair). Chosen to enhance the King III at a lower cost than other KR Audio amps, they use Russian KT120s, which are more affordable than KR's own tubes, mated to a MOSFET class-A driver stage. 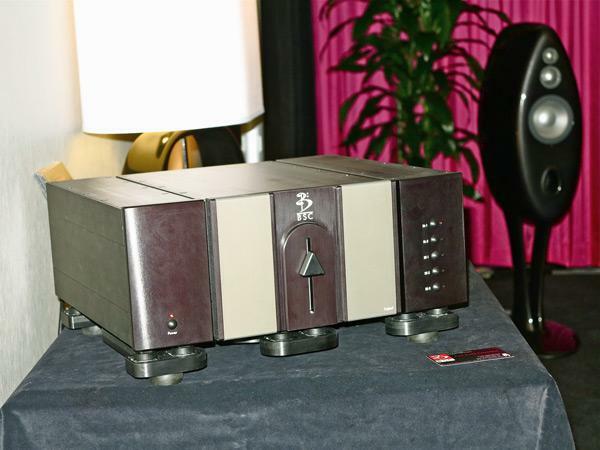 Completing the chain was the KR P130 triode stereo line preamplifier ($4990), which comes with remote control. 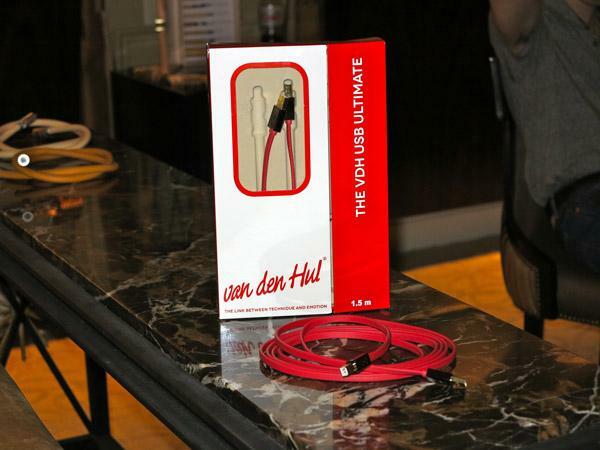 To the growing number of USB cables on the market, Van den Hul now adds the USB Ultimate ($599/1.5m). Maarten Binnendijk, Managing Director of Van den Hul, claims that the company devoted two years to developing the cable to ensure that it "will beat all other USB cables." Only one way to find out. On your mark, get set, GO! Knowing something about race car driving won't get you a good system in and of itself, but it will help you understand the genesis of the names of Alvin Lloyd's Grand Prix Audio's attractive equipment isolation racks. New is their Woodcote line, the company's first line of wooden racks. Made of true hardwoodno MDF herethe four-shelf cherry model with decoupled shelves costs $4495, and walnut, curly maple, and custom woods are also available. 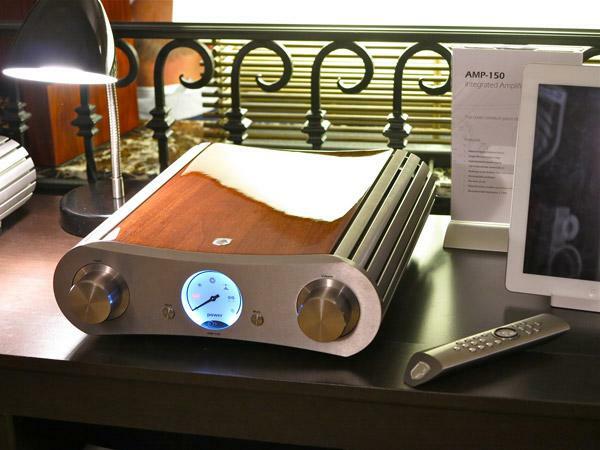 Gato, a young Danish company whose products are distributed in the US by Aerial Acoustics, made its debut at CES 2013 with the handsome Gato integrated stereo Amp-150 ($7990 with remote). Outputting 150Wpc into 8 ohms, and 250 into 4, the integrated has 1 XLR input, 4 RCA inputs, and both XLR and RCA outputs. Frequency response is 20Hz20kHz ±0.5 dB, and 2Hz100 kHz ±3dB. The meter's needle shows the volume control setting. The choice of high gloss black, high gloss white, and or high gloss walnut veneer covers makes this 30.4 lb. integrated even more attractive. 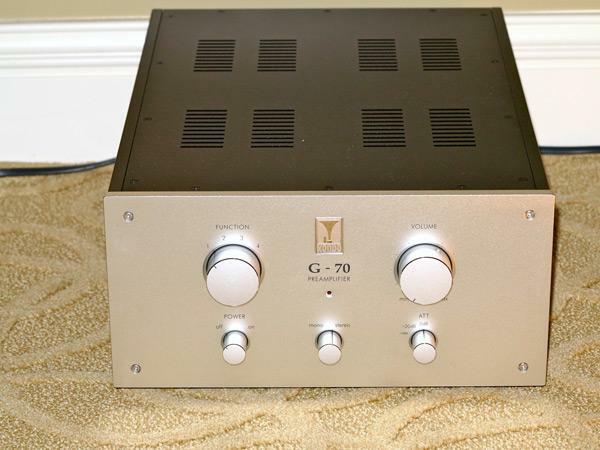 Standing in static display in the Audio Note room sat in full lotus position with eyes half shut the lovely G-70 stereo line preamplifier ($37,000). With a frequency response of 10 Hz240 kHz, four RCA inputs and two RCA outputs, this baby uses two 6072/12AY7 vacuum tubes and one 6X4. 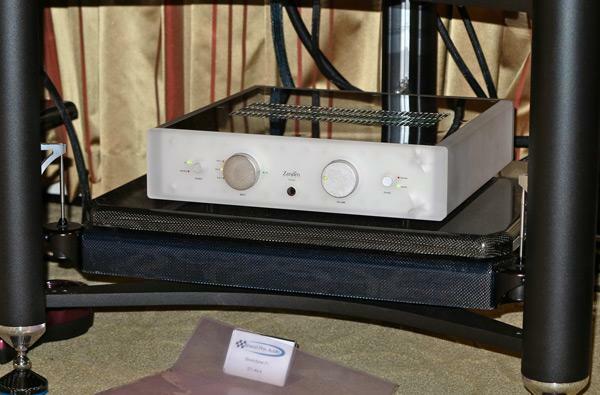 Zanden displayed their prototype 3100 preamplifier (est. $12,500). Projected to ship in March, this one-piece unit uses one 5687 tube for amplification, and another 5687 for rectification. An output transformer design, it has one balanced and three single-ended inputs, and a unity-gain option for home theater set-ups. Keeping it company were the Zanden Audio KT-120 stereo amplifier ($20,990), prototype solid-sate phono stage with five selectable equalization curves (est. 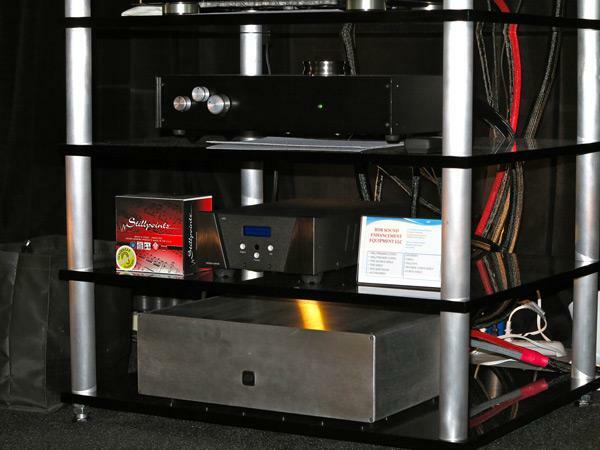 $7500), Signature CD player ($22,000), and the company's handmade cables. 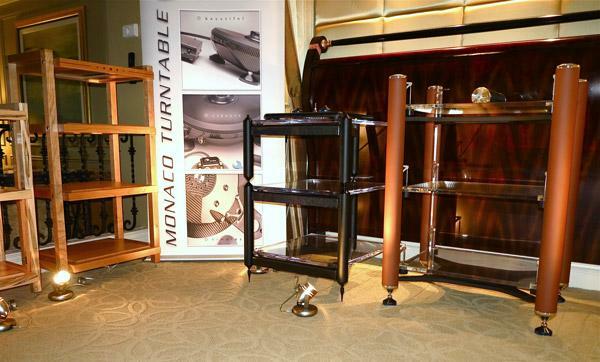 The room set-up was one of many to feature TAD loudspeakers, here the Ref.1 ($78,000/pair). For many years, Edge Electronics were inseparable from the electrifying presence of the company's publicist, Denver's Steve Norber. Now Norber has come out with his own line, whose initial offerings include the PranaFidelity Purna amplifier ($8950) and PranaFidelity model Fifty90 loudspeakers ($3950). 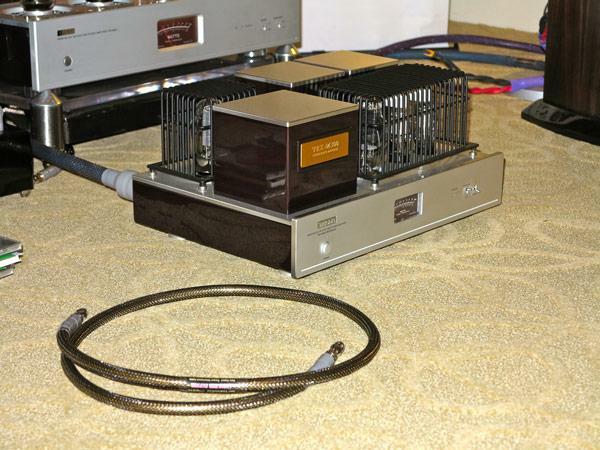 The amplifier, shown beneath a prototype preamp, outputs 400 W into 8 ohms (700 into 4 and 1200 into 2), and accepts both balanced and single-ended inputs. The loudspeakers in the system were a two-way symmetrical array with dual 15" woofers, a 30mm tweeter, and a frequency range of 39Hz22 kHz. In my brief listen, I found the sound amazingly coherent, controlled, and convincing for a small room. Major thumbs up to this one. There's nothing like a $118,600 system (excluding racks, Shakti Hallographs, equipment supports, and all the rest) to get the juices flowing. Such was the case in Jonathan Josephs' One World Audio room at T.H.E. 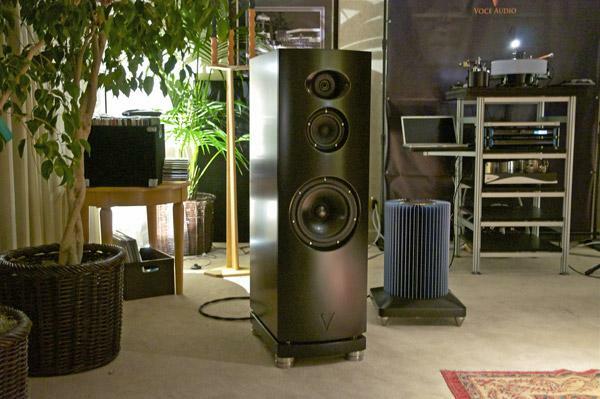 Show, where the imposing redesigned Voce Audio VA-3 loudspeakers with Stillpoints Ultra Five supports ($35,635) were making beautiful music with MSB Technology's Analog DAC w/volume control ($7990), Data CD IV disc player w/power base ($7490), and 200W class-A 203 monoblock amplifiers ($27,500)the things that look like huge space heaters. WyWires has a new AC distribution system, the Power Broker ($2899). Intended to extend the architecture of its Juice power cord, the unit boasts eight outlets wired in parallel, all in an asymmetrical Litz-wired configuration intended to "enable great image focus and soundstage capabilities" by correcting phase. 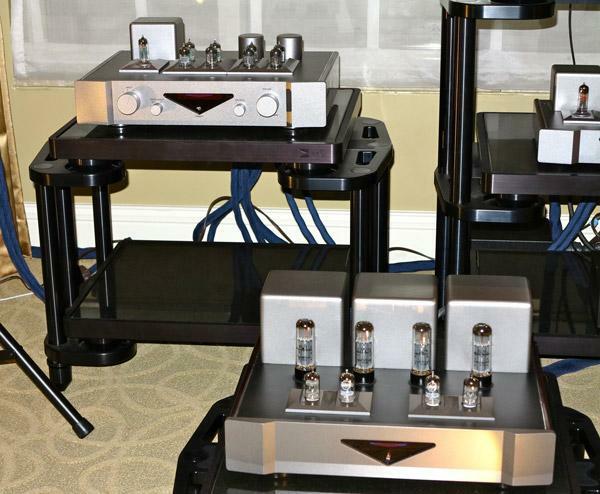 The fourth floor of the Flamingo offered my second opportunity to experience Bully Sound Company electronics and my first to hear Bricasti Design's MI dual-mono DAC. Paired with Vivid B-1 loudspeakers, the system produced an absolutely astounding sense of air on John Atkinson's recording of male vocal ensemble Cantus' performance of Eric Whitacre's Lux Aurumque. The acoustic was so much more air-filled than I'd ever heard it before that I realized that either the DAC added air to recordings, or I had never heard this recording as JA intended it to be heard. The timbre of individual voices, and the clarity of presentation were also spot on. Wow! "For those who want the Burmester signature sound at a relatively reasonable price," declared Burmester General Manager Robert Hagemann, Burmester Audiosysteme Berlin will issue the Burmester 101 integrated amplifier (projected price under $10,000) at the end of February. 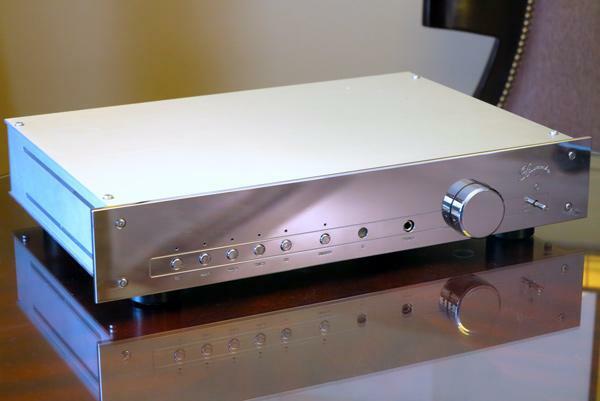 Outputting 120 Wpc into 4 ohms, and equipped with three XLR inputs and two RCAs, this is the first integrated amplifier from the company to sell for less than $17,000. Frequency range is 3Hz45 kHz, and the preamplifier outputs are balanced only. 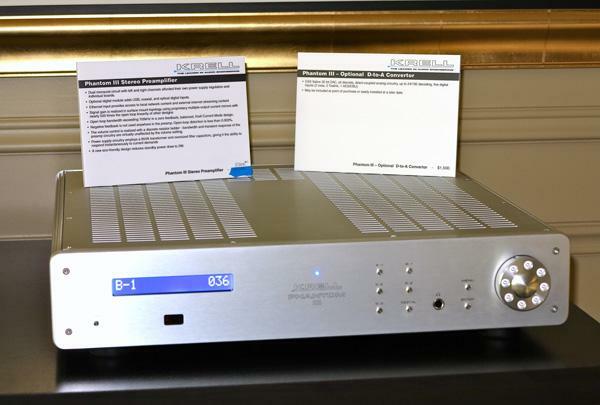 Krell released the Phantom III ($5500), a dual-mono design stereo preamp with a dedicated headphone amp and option for an internal DAC ($1500 extra). Fully balanced, the DAC portion, based around the ESS Sabre 32 DAC, handles files up to 24/192, and includes an asynchronous USB input. 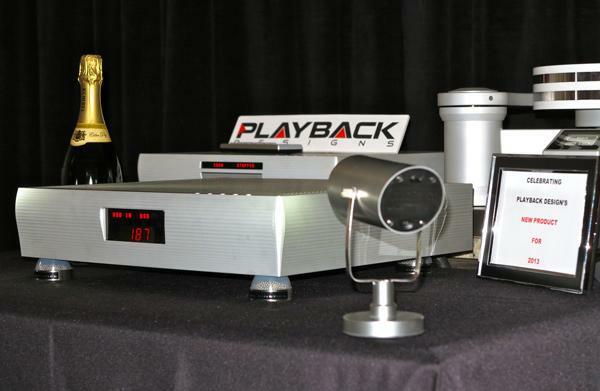 New for 2013, and due this summer, is Playback Designs' IMS-3 ($13,000). 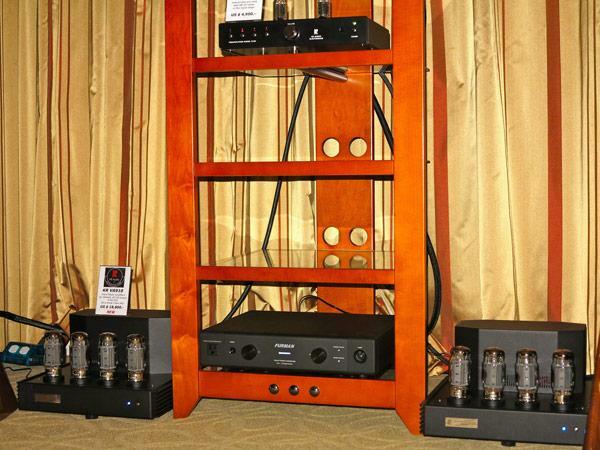 IMS stands for Integrated Music System, as in a one-piece unit housing DAC, preamp, and amp. The DAC is the same as in the excellent NPS-3 one-piece player, and the amp a class-A/B design that outputs 130W into 8 ohm and 260 into 4. A digitally controlled analog volume control, three analog inputs, and four digital inputs are among the features of a unit that will also support multi-channel playback.